Last summer we explored both Dakotas, Wyoming and Montana. This year we are focusing on Utah, Idaho, Oregon and California. We had to take care of a bit of maintenance business at the start of the trip, but made the most of it as we traveled from Indiana through Illinois, Nebraska and Wyoming. Our first stop was the Newmar factory in Nappanee, Indiana because we had a service appointment on June 29. The Amish workers come to the coaches at 6 am so we went up the night before and stayed in their RV hookup lot. 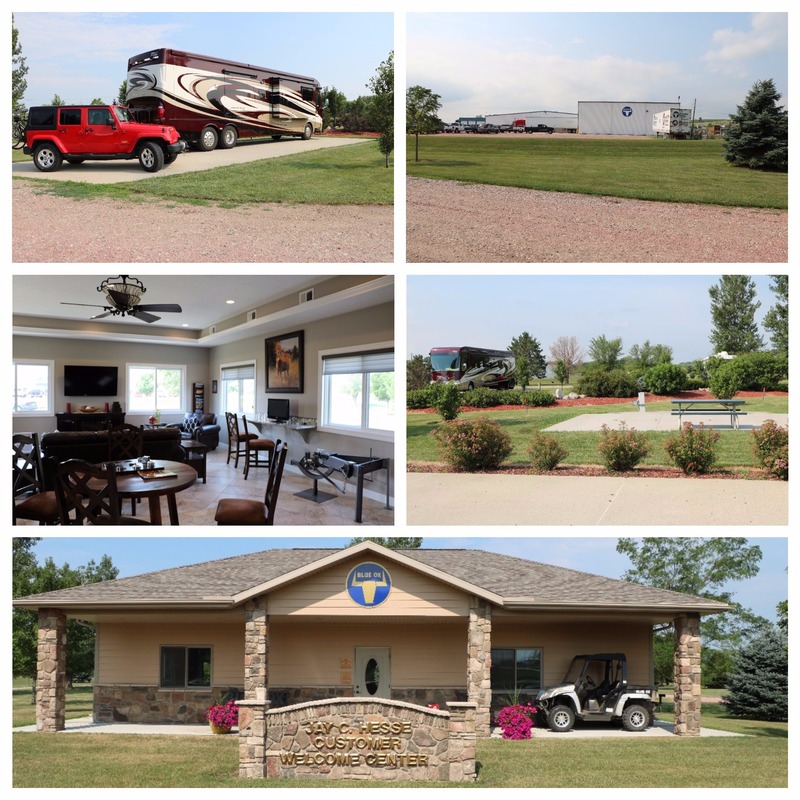 Nappanee and the surrounding area offers lots to do while someone is waiting on their motor home to be fixed. 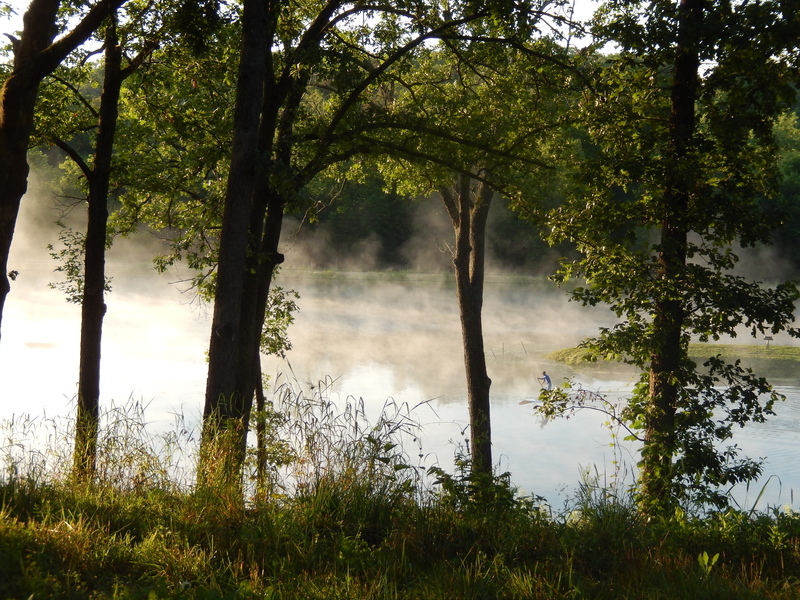 In the past we have gone to the nearby attractions of Pokagan State Park, The RV Museum, Shipshewana Flea Market, and Amish Acres. For a post that tells about our experiences with links to those places, CLICK HERE. This time, all the work we needed to be done was finished in a day, so we were back on our way by the 30th. 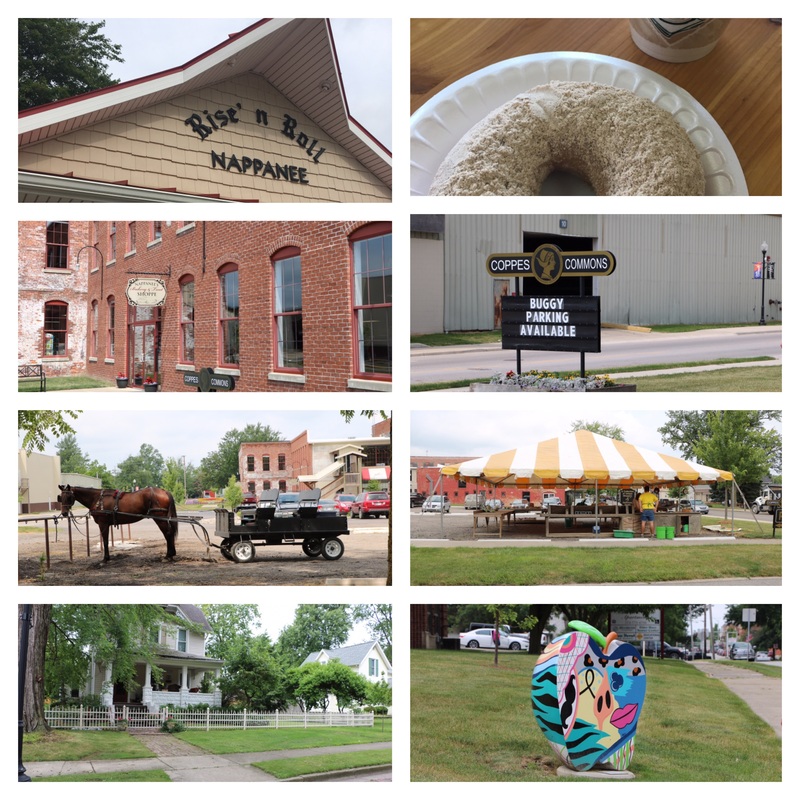 We did have time to enjoy seeing the Amish buggies, the farmer’s stands, a couple of local bakeries and the cute down of Nappanee. The Amish are famous for their doughnuts; for my copy cat recipe of one that’s called “Amish Crack”, CLICK HERE. We picked a great weekend to visit Caroline and Adam. 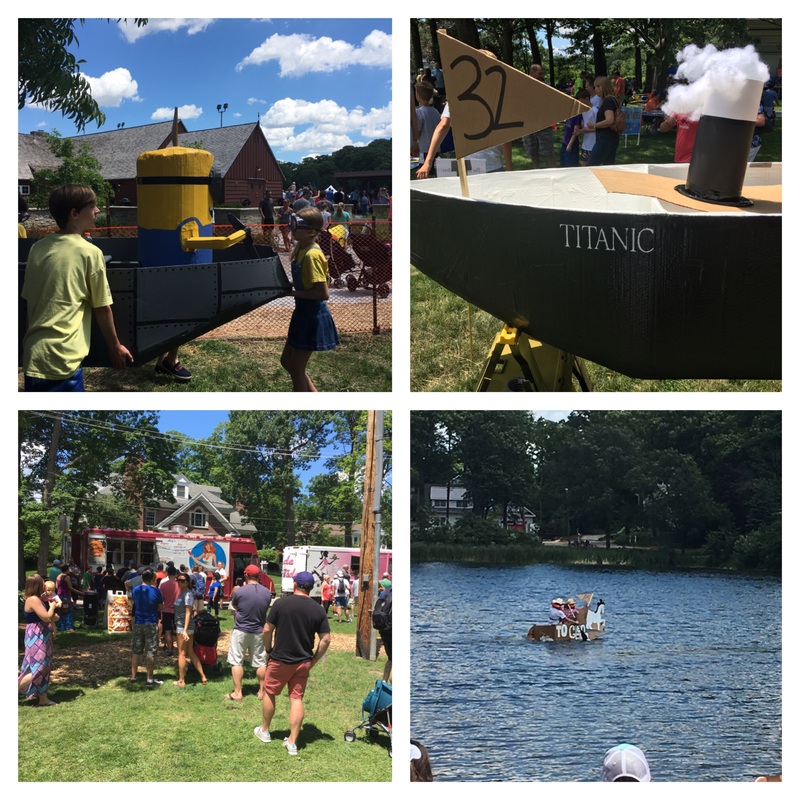 Their little town of Glen Ellyn hosts a “Cardboard Regatta” each year and luckily we happened to be there. The boats sported clever themes and since the event has gone on for years, it’s quite a tradition for some families. Besides watching the races, we also enjoyed sampling goodies from many brightly colored food trucks parked street side. 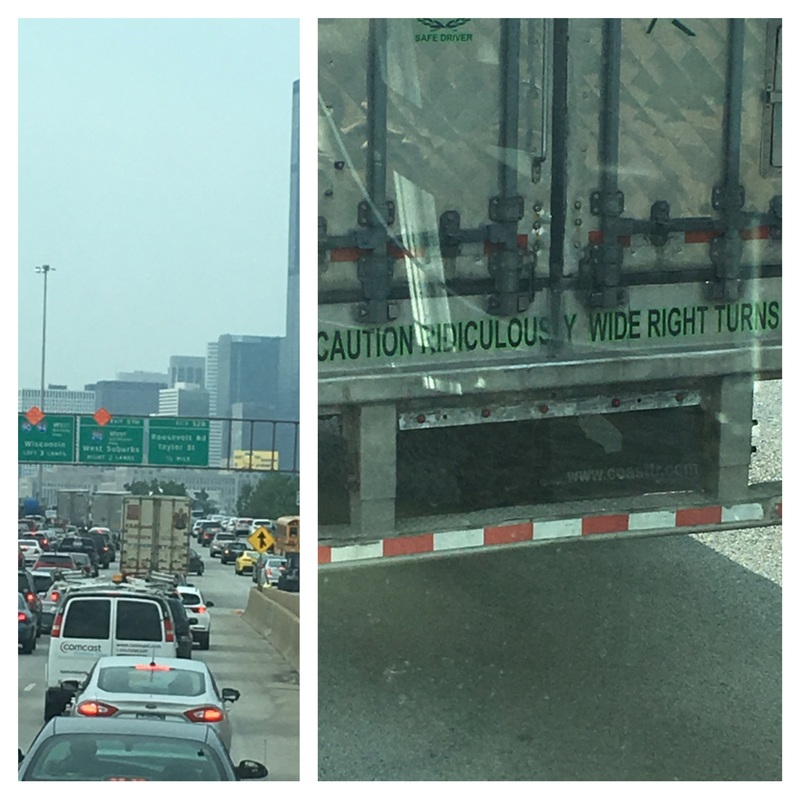 We left the Chicago area and did a day’s worth of drive west. The rig got parked for a week in Happy Trails RV Park in Phillipsburg, Missouri which is just a little over an hour east of Branson. Lake of the Ozarks country is beautiful and has great fishing, but this time we were here to volunteer our time at a church camp to enable a Sunday School student back home the opportunity to attend. In the past we have explored this fun area, CLICK HERE and HERE to see what we did. Next it was on to Pender Nebraska to get our Blue Ox towing system serviced. We knew we could park there, but we were so surprised to see a pretty little campground that is free to Blue Ox customers and only $16 and a bit of change if you aren’t. The sites are very nice – but Pender is literally in the middle of no where. One of the men who worked there said their number one problem is finding employees. They are more than willing to hire ex-cons and feel everyone deserves (one) another chance.